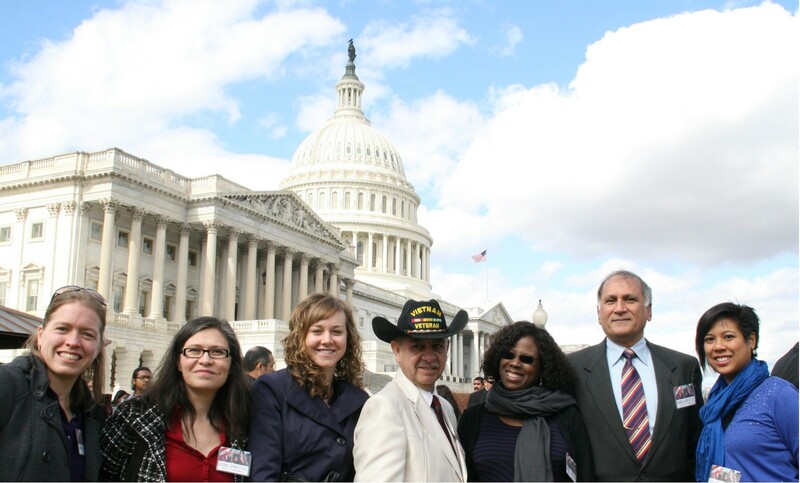 I went to Washington DC on the 26th to join a national Border Advocacy Day event on the 27th of February. I went under the auspices of One America who sent a delegation of four people, led by Ada Williams Prince, thanks are due to Arsalan Bukhari of CAIR, who proposed my name for the delegation. On the evening of the 26th, I went for dinner to the Kabob Palace in Crystal City Arlington, it is a Pakistani Hole-in-the-Wall restaurant where they serve lots of traditional Pakistani barbecued/grilled meats, Skewered lamb, beef, chicken, lamb chops that actually have lots of meat on them and for those who understand, Chapli kabab from the Frontier Province where I was brought up (it now goes under the tortured and clunky name, “Khyber Pukhtunkhwa Province”…KPK). It was a haul getting there, but it was great fun, the place is PACKED, it operates on a 24/7 basis and when the food arrived, I could see why….not expensive, very tasty and lots of it! The next day, I went to the gathering place, Lutheran Church of the Reformation (across from the Supreme Court) where they had given us the use of their entire basement for the whole day, for this effort. I wish our Mosques had the gumption and the drive to participate like this, they used to, back a thousand years ago, but no longer. 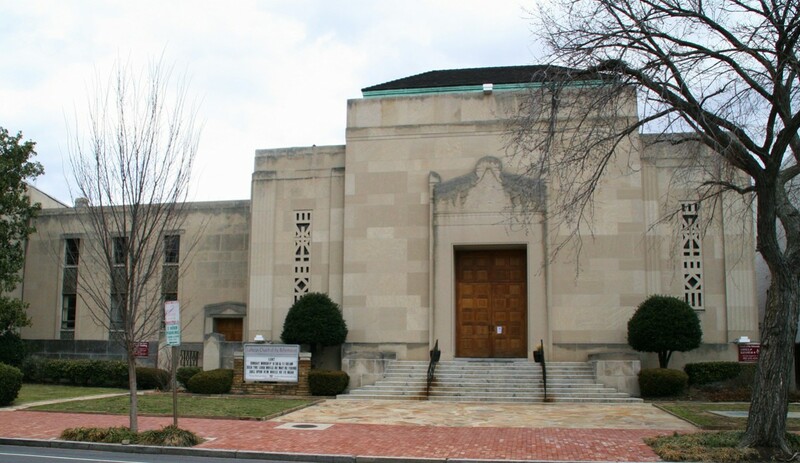 Today, our mosques in the US are too concerned about risking their real estate to persecution from the Feds (not an unreasonable fear) to speak about anything more that reflecting how great we Muslims once were. Now, only the mosques in troubled areas get into the business of active involvement and unfortunately, they are getting people active on the wrong side of God’s commands. We go to know each other a bit with team leaders and general movement leaders telling us again and again, what the message is so we are all on the same page. The message to Congress is that there are many abuses of minorities taking place at the Northern and Southern borders as a result of profiling by the border “protection” agencies (ICE, CBP etc.,). These practices need to be curbed in the legislation currently being discussed and written so that minorities and undocumented folk do not live in constant fear of being targeted and persecuted. Security was unbelievable, I have never seen so many Police, some armed with automatic rifles and a few with spotter scopes on them for long-range shooting. Thankfully, it was a day with broken clouds and sunlight so, standing in line outside buildings was not much of a problem. We met with a staffer for Rep. Cathy McMorris Rodgers, we had a brief meeting with Rep. Jaime Harrera Buettler. Our group leader, Maru Mora Villapando gave the main presentation with each and the rest of us said a few words as well. We met with Congresswoman Susan Del Bene, led by our delegation leader, Ada Williams Prince from One America. We also stopped by a few other offices where we did not have appointments, but left information for the Representatives. We then had a press conference where there were quite a number of speakers talking in support of protections from profiling and documentation for the undocumented, including a judge and a Representative from the Southern Border area. The Executive Director of CAIR Michigan also spoke at the Press conference. Margaret Huang, Exec. Dir. of the Rights Working Group asked a woman from Michigan and me, to accompany her to attend a weekly meeting of the Congressional Asia Pacific American Caucus (CAPAC) and address the representatives who meet there (she had booked a slot). At first, I was reluctant, I told her that the “Asia” probably meant East and southeast Asia and I would be standing alone with people wondering what a Pakistani is doing in CAPAC, but Margaret encouraged me and said we need to inform people that Asia is a huge continent and I need to speak for Muslims. Yes, I know, this is when my Muslim brothers and sisters jump in and demand who voted me the representative for Muslims in any given area. The fact is that whenever any of us get an opportunity to inform people about who we are and what our collective and individual experiences are, we must do so and we need to speak as Muslims representing the voice of Muslims. Prasana Vengadam from Michigan, spoke about the experience of South Asians, it turns out that she had spearheaded a report which was to be released yesterday, about the profiling and targeting of South Asians (she agreed to send me a copy). A Muslim family went to Vancouver BC for the weekend when their 10-12 month old developed 104-105 fever, they cancelled their plans and returned to Seattle. At the border the Agents told them to come inside and sit in a certain corner. the father tried to explain that their child needed medical attention, that they could hold him, but let the mother go with the child, but the agents ordered them to be quite and stay seated. Six hours later, the family was told they were free to go…no reason, no explanation; the family was held because they were profiled as Muslims and because the CBP/ICE could do so. This is not an isolated incident, I can sit here and relate incident after incident, some that I have experienced and some that my friends have endured. The fact is that this is part of a planned and deliberate policy under which the Department of Homeland Security is spending millions of dollars every year, in the training of our Police FBI, CIA, Border agencies and the military, that Islam and Muslims constitute the greatest threat to the US and to the West. The trainers are self-styled “experts” on terrorism whose main claim to fame is their ability to spread anti-Muslim sentiments, using false information about Islam and Muslims. We have asked DHS to stop supporting such activities but they say they cannot interfere with local departments once the money is given to them; I wonder if they would have a similar reaction if the money were used for parties instead? I am not making this up, I have copies of videos of the actual trainings, contents of presentations and other booklets and materials that specifically promote this issue. We have been speaking against this for years, but nobody seems to feel motivated enough to pay attention, probably because they don’t want to be seen as being “soft on crime”. Occasionally, some heads of agencies talk about stopping the practice of anti-Muslim training and indeed, Eric Holder did make such and announcement after which the FBI announced it was stopping all such training. unfortunately, in the past when the FBI tells us they have stopped doing something, we find later, that they did not. Even if we assume that all agencies actually did stop their anti-Muslim training, the problem still remains that tens of thousands of officers and agents are walking around with anti-Muslim convictions. All these agencies need to go back to their earlier-trained officers and re-train them that the past anti-Muslim messages were wrong and the facts are different. Unfortunately, there will be no real change unless member of Congress such as yourselves, raise questions and demand that ALL signs of bigotry be removed from our security agencies and that past trainings be corrected. I did not expect the reactions I got. Different representatives asked for copies of the documentation (I promised to send them), they asked who our state Reps were and if we had brought it to their attention (I listed some and said our messages were not very effective). The discussions and questions lasted another few minutes. They all agreed that this was serious and they would take action and I need to send the material to them immediately. At first, I had thought I would send them some material by e-mail, but as I think about it, I will be sending them a CD with copies of the many documents from the FBI, the military, the Police and other documents. Good on you Jeff! Every little chink in the wall of fear helps us all. Thanks for sharing your experience and I sincerely hope the documentation you send makes it’s way into Congressional consciousness. Well done, Jaffar. May Allah bless you and your family.